By making this booking you are agreeing in full to the following Terms & Conditions. These T&Cs have been produced to protect both the owner, agent and all guests as well as providing advice in the event of problems or disputes. The person making the booking accepts full legal liability on behalf of all guests. 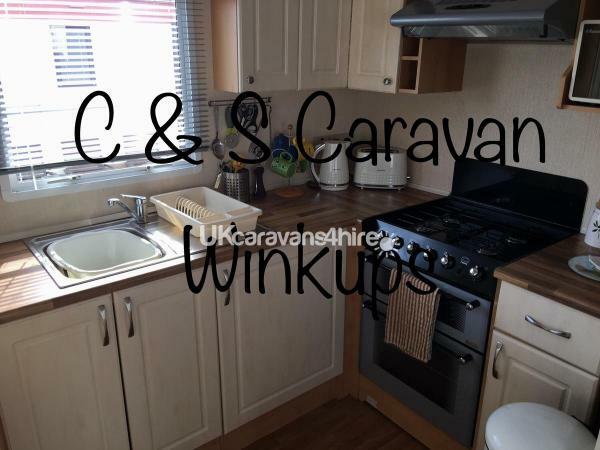 Cleared Deposit Funds must be paid to the Caravan Owner immediately to confirm your booking. Failure to pay the deposit, or the balance of the costs by the agreed date, will result in the loss of your holiday booking. 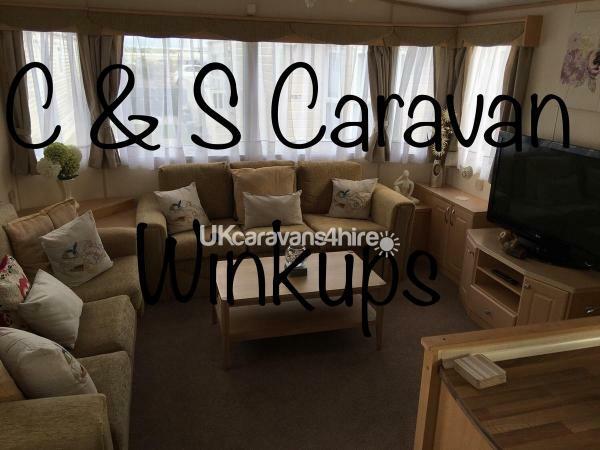 If you do not wish to proceed with this booking, for any reason, then please contact the caravan owner immediately, in order that they can try to resell the dates. *By returning this completed form you accept to be legally liable to comply with these terms. Please keep these T&Cs with you during your stay as they contain important information. These Terms & Conditions are here to protect the rights of the Caravan Owner, Agent and all the Guests. Please read them very carefully, as you are entering into a legally binding agreement. ARRANGE TRAVEL INSURANCE – It is highly recommended that you arrange Travel Insurance to cover all guests. This will help protect you if you need to cancel your holiday as the owner may not refund you if they are not responsible for the cancellation and are unable to re-sell it themselves. YOU MUST NOT TRY TO SELL YOUR HOLIDAY TO SOMEONE ELSE – Only those named on the booking form will be allowed in the caravan. This means that if you have to cancel you cannot sell the holiday to someone else. They may sue you when they are now allowed into the caravan. IF YOU HAVE TO CANCEL YOUR HOLIDAY BOOKING – If you cannot pay the deposit or balance of the holiday, or you are unable to honour the booking for any reason whatsoever, then please contact the owner immediately. This will give them more chance to re-sell the dates and will save them having to keep chasing you. They may even be able to offer payment by instalments if you require help spreading the cost. You may need to claim on your insurance in order to obtain a refund of any monies paid. DO NOT ARRIVE BEFORE THE STATED ARRIVAL TIME – You will either be denied access, fined or evicted. The arrival time is there to allow for cleaning and to ensure everything is ready for your stay. CHECK THE CARAVAN WHEN YOU ARRIVE – If you find anything wrong please contact the owner immediately. This will protect you if things are found after you leave that you knew about. If anything is damaged during your stay please contact the owner immediately so that they can arrange repair before the next guests. KEEP THE CARAVAN CLEAN & SECURE – You have a responsibility to leave the caravan as you first find it. 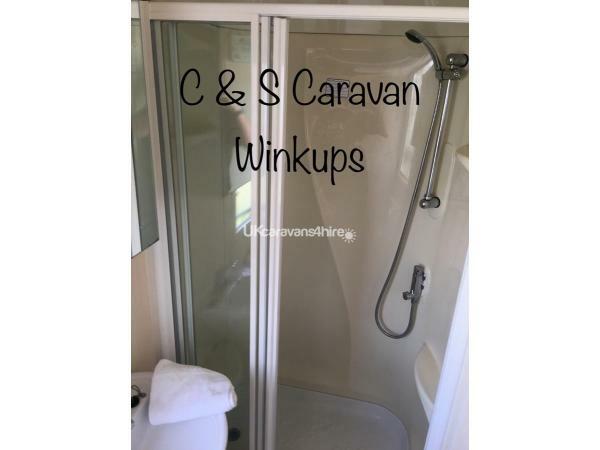 Prior to your stay the caravan should have been thoroughly cleaned. Always ensure that doors and windows are locked when you are not in the caravan. USE OF GAS & ELECTRICITY – These are provided FREE FOR FAIR USE ONLY. In the event of excessive use of either Gas and/or Electricity you will face additional charges. If you are not sure if you may be likely to use a lot of Electricity or need new gas bottles then contact the owner immediately. Take care when the weather is cold, not to keep heating on when unattended or when rooms have reached a comfortable temperature. DO NOT FEED THE GULLS or other birds on the site – Feeding birds can be dangerous and creates extra mess on the site, which may be poisonous, it also causes nuisance and risks to other people on the caravan site. ● If you have a problem with anything in the caravan. ● If anything is Broken or Damaged during your stay, as the owner may be able to arrange repair or replacement during your stay. You may be charged for repairs or replacement. ● Site issues must be dealt with by the Site Office Staff, not the caravan owner. This may include resetting the Electric, for which you may be charged. 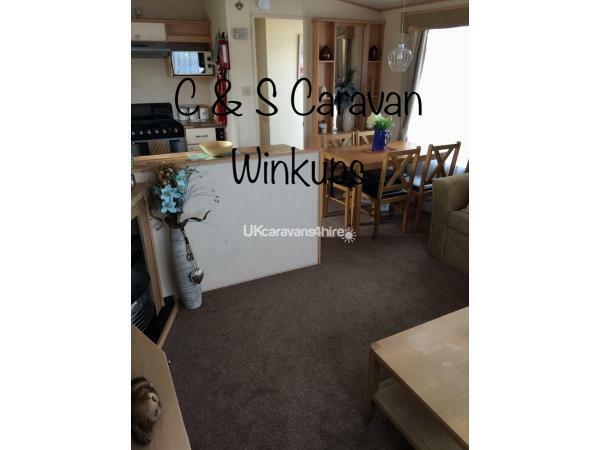 LEAVE THE CARAVAN CLEAN & SECURE – Prior to leaving the caravan please ensure that all kitchen equipment is clean and back in place, that all kitchen surfaces and caravan tables have been wiped clean, bins have been emptied as instructed, the floors have been hoovered and left clear of mess. The caravan should be left in the state you found it so that the cleaners don’t have to spend extra time and delay the next guests. 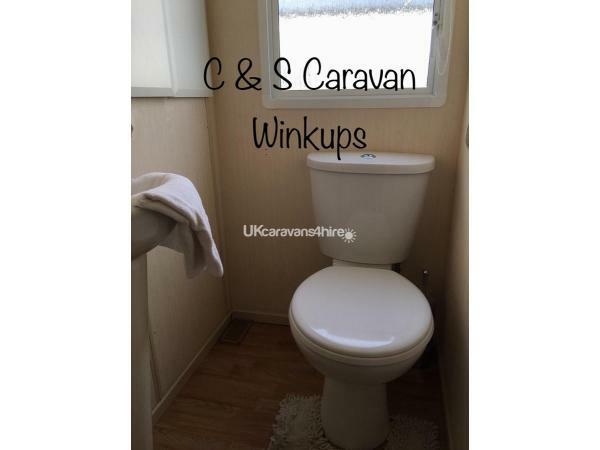 Failure to keep the caravan clean and tidy will result in the loss of your deposit. Do not steal any property from the caravan or you will be charged and may face prosecution. All doors and windows must be closed when you leave the caravan. Failure to do this risks the security of the caravan and the deposit may be withheld. The owners/cleaners will take photographs of any mess or damage they find. Please respect their property. DO NOT LEAVE LATER THAN THE STATED DEPARTURE TIME – You will be fined if you leave late as access is required by cleaners and the next guests may suffer delays in starting their holiday, for which they will expect compensation. LEAVING THE CARAVAN BEFORE THE DEPARTURE DATE – If you leave the caravan before the departure date you will not be compensated unless this is due, in whole or in part, to the caravan owner being unable to provide the advertised holiday. 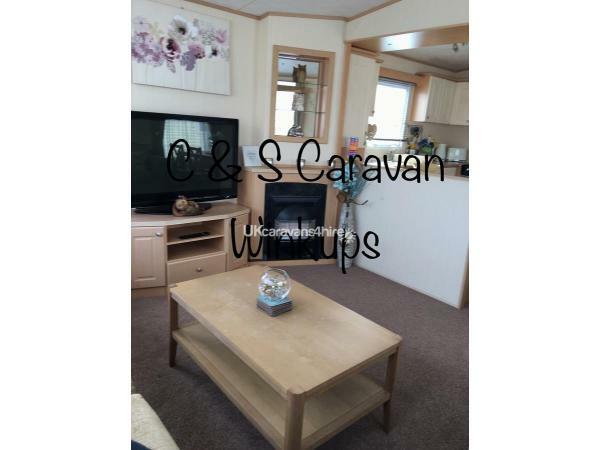 Our caravan has 3 bedrooms, 1 double with 2 twin rooms and a pull out double bed in the living area sleeping up to 8 people. 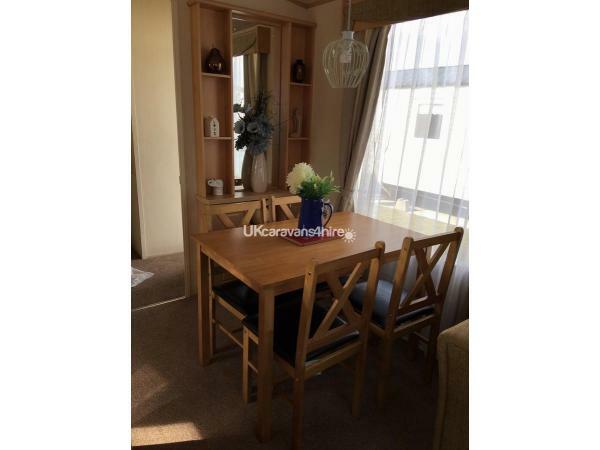 All bedrooms have fitted wardrobes and storage space. There is also a spacious lounge with T.V., games console and gas fire with plenty of board games for those stay at home days. The kitchen is spacious and fully equipped with all modern appliances and accessories. The bathroom has a large shower cubicle with washbasin and toilet. There is also a second toilet with wash basin. Outside there is a parking bay with lawn patio area beyond with table and chairs and loungers for outside entertainment and also rotary washing line. All pillows and duvets are provided, with mattress protectors on all beds, but we do ask for you to provide your own covers, sheets, pillowcases and towels. 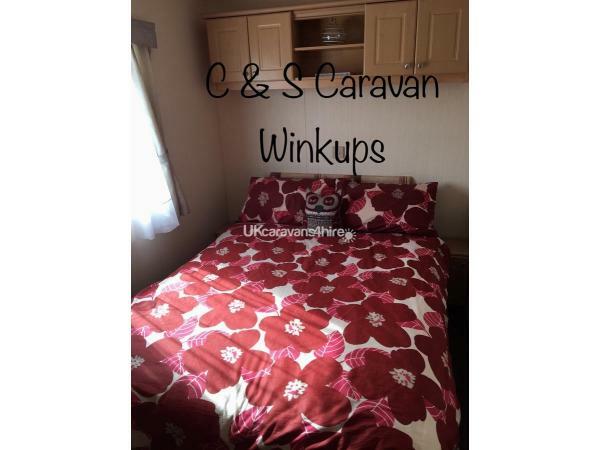 The caravan is situated on a prime plot on one of Towyn's most popular sites Lyons Winkups. holiday park. The park has a host of facilities including heated swimming pool with Jacuzzi, kids indoor soft play area and outdoor adventure play area, football cage, shop, chip shop, sports club and a large family cabaret club with entertainment on throughout the season. Something to please everyone. Within 5 minutes walking distance there is access to the beach, Tir Prince giant market and funfair and all the other amenities Towyn has to offer which is many. There is a bus stop just outside the camp with regular buses into Rhyl and Prestatyn or on the other side of the road buses going towards Colwyn Bay and Llandudno, making this a prime location for any holiday maker. 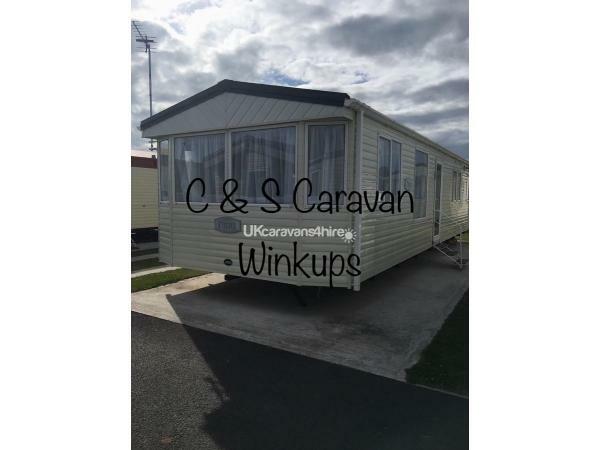 This was a late booking due to unforseen circumstances.we took our 2 year old grandson and 2 teenage nieces.We were met and welcomed by Colin and his wife.Caravan was spotless with everything we needed.Plenty of space too.Also as well as the bathroom was a second separate toilet .Overall we had a very comfortable stay. I would recommend this caravan . 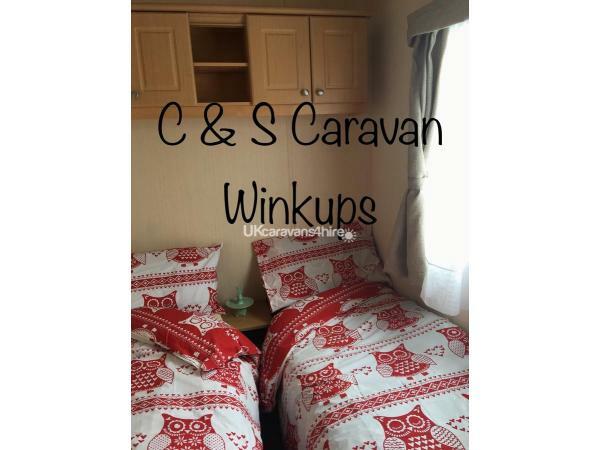 Hi Amanda thanks for your review on our carvan on Lyons Winkups. 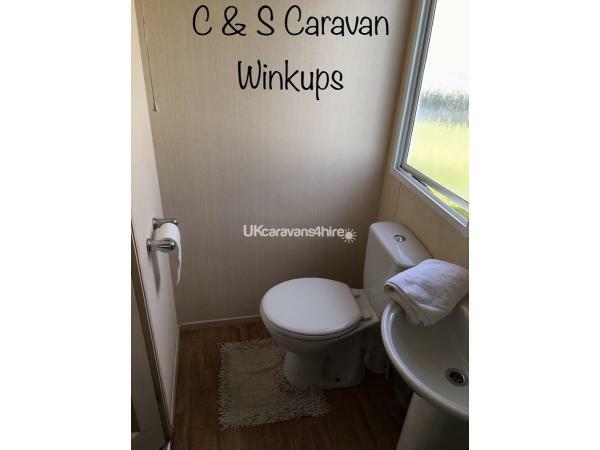 I’m glad the caravan met your requirements and your stay was comfortable.Hope to see you in the future and take care, Colin ??????????????????????????? ?